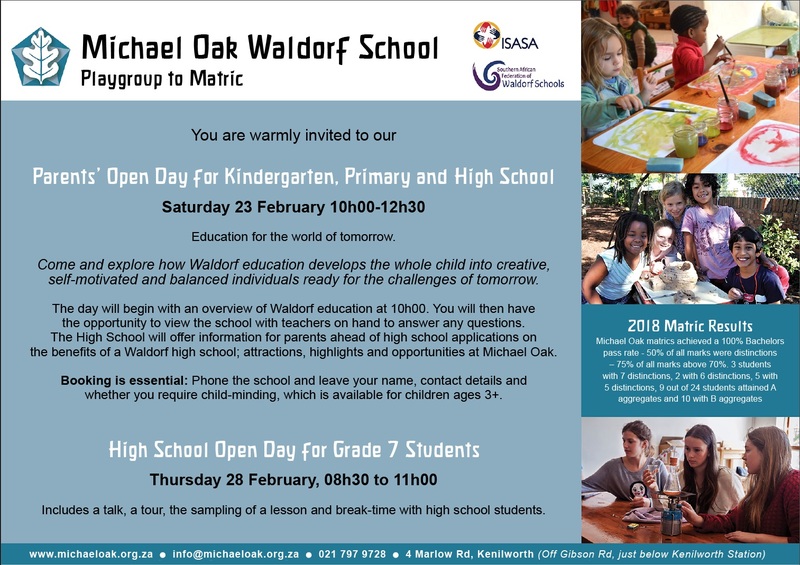 Please join us at our Open Day (Kindergarten, Primary and High) on Saturday 23 February, from 10h00 to 12h30. We also offer a High School Open Day (for Grade 7 students entering Grade 8) on Thursday 28 February, from 08h30 to 11h00. Full details in the attached open day poster. In the same way the Ancient Greeks stood at the bright dawn of Western civilization, so also the Class 10’s stand at the awakening of their adult awareness and understanding. Thus it is appropriate that the 16-year-old at school should be immersed in ancient history and philosophy and investigates the origins of literature and drama. In this context a Waldorf curriculum also calls for the performance of a Greek tragedy in which the human condition and its attendant suffering can be explored. 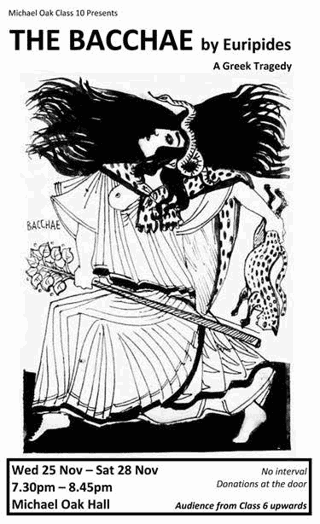 This year’s play The Bacchae by Euripides is an accessible, entertaining and hard-hitting drama that will have you spellbound – aided by the superb commitment and acting of Class 10, and the haunting attendant music and song performed by Nicola Christodoulides, and Omri Scannell. Please note that the mature nature of the play is not suited for young children. Only Class 6 and older should attend. This two-and-a-half thousand year old Greek tragedy explores the irrational side of human nature within the age-old story of the incarnation of a God. It is the electrifying, searing story of a city that is visited by the wrath of the Gods. 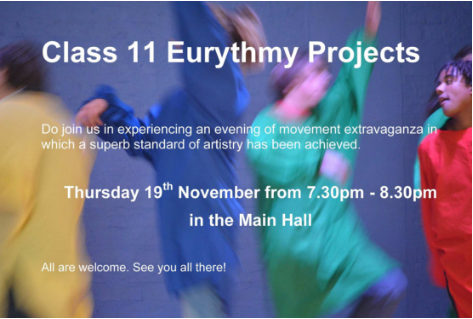 Please join us on Thursday 19th November as we celebrate the Class 11 Eurythmy performances.